30 roses from Nana at my surprise 30th birthday party. those are awesome! I’ve never seen roses like that. 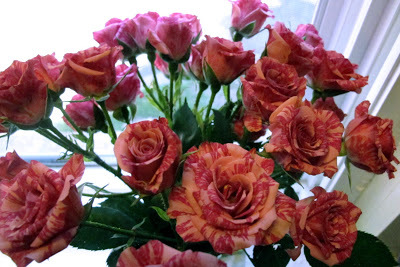 I love those varigated miniture roses. They are so pretty they almost don’t look real. Not sure what we can do for the 40th birthday to top this one, but it will be fun trying.